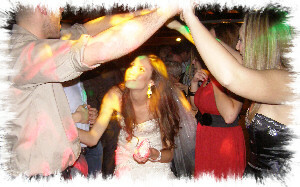 JMF Disco offers an experienced Wedding DJ in Faversham to help with your special day. JMF Disco is owned and presented by DJ John Padmore, a reliable, experienced Wedding DJ near Faversham. My aim is to provide you with all the help you need, from your initial phone call to seeing your happy guests leaving after a wonderful nights entertainment, at your perfect reception provided by your Wedding DJ Faversham. Call or email JMF Disco for your Wedding DJ Faversham to find out how I can help you. Have a look at the Weddings page for more details of the Disco Hire Faversham service I offer and call me to discuss how I can help make your evening very special. Contact Wedding DJ Faversham on Tel 01795 429777, Mobile 07895 546183 or by email to discuss your Wedding DJ needs or questions. The Abbey School hall and modern Dining Hall accommodating up to 350 guests are ideal for Performance and music, Proms, Birthday parties, Wedding reception, Charity fundraising events. The building has male, female and is fully accessible with disabled parking and toilet facilities. The Halls are available to hire during the school day, evenings and weekends. The facilities are more widely available during school holidays. Check back soon for an update - know of an event in this area our customers would be interested in - let us know and we will promote it!